The “wonderful” 19th century has been described as “the long”, since its march was initiated already by the last quarter of the 18th and was concluded –through numerous social and political ups and downs- buried under the rumble of the First World War and the October Revolution. For the contemporary historian of science this era has a significance second only to the one most commonly referred as “the scientific revolution”. Indeed, although such a name would constitute a literal misnaming leading to misunderstandings there are historians of science that refer to the 19th century as the “second scientific revolution”. What was making this century so special that at its end the whole world would stand shocked as it was? Was there really anything that separated this specific era from the ones that came before it, or the ones that followed? Most of the scholars that stand for the “yes-answer”, will point out the ideological kindred of the Enlightenment, the counter-Enlightenment of the Romantic movement, the stark expressions of social and cultural demands and the subsequent revolutions (literally or metaphorically), the newly born sciences and the redefinition of the old and their institutions, the “free market” and the “proto-globalization” of the British Empire, and –therefore- the first active claims of the Western values on the “Ecumenic”. Simply, what these scholars would claim is that what the next era was to be, was for the most of it put in place during this period; therefore, it is to this period that the historians should turn for definitions of our own age. There is a “no-answer” however. Though the scholars that pick it would hardly attempt to diminish the significance of the 19th century for the forms of the 20th, they would turn to deconstruct the “uniqueness” and the “globality” of this very significance, while demanding attention to political and moral issues. They point to the Hellenistic and early Roman eras for analogous explosions of human activity, they comment on the similarity of the activity and the lack of globality in the similar cases and –more disturbingly- ask the uncomfortable “resource-question”: Would the explosion of this era be possible without the obvious factor of the colonial structures? Indeed, some would proceed to start identifying similarities between our own period and the last decades of the “long century”, assuming for themselves the role of “prophets of evil”. Although on its founding Ιστορίη was intended to be a tool mainly of prediction, the main duty of the historian is to record and as possible interpret the past. And, though the “no-answer” should be taken into consideration –with the reported analogies of the eras–, is should be noted that for the historian of science the “long century” has a definite meaning, that separates it from every other historical period. Actually, it is a matter of definition in the first place: if indeed “History of Science” as a term ever existed without this period, it would have a totally different meaning. Central target of this essay is not to write the history of the 19th century science; such a task would be complicated and out of the scopes of the overall work. The task is to outline issues of mentality of the scientists of this “glorious and brave” era, that is, to make a connection between history of science and group and institutional psychology. How did the new cast see itself, and how did it outline its role in the society? How did it define its own “borders” from the neighboring classes, and how its self-definition was working paradigmatically, by forming attitudes? Finally, when a battle had to be fought, which parts of the scientific mentality would build up to the obstacle épistémologique? By the 1700s, while what we now identify as the Scientific Revolution had covered most of its given way, the word “science” was still equaling the term “natural philosophy” (a term that at its high-day was itself including “natural history”). By that time, the mechanist approach had mostly defeated both the Aristotelian metaphysics and the Paracelsian “Iatro-Chemistry”, rejected the occult qualities of Alchemy in general (although they were to survive deep in our era in other localities of thought), and adopted new standards in diverse areas –including evidence and experiment, instrumentation and interpretation of results. Meanwhile a process was already initiated of reevaluation of the relevance or not of older asked philosophical questions to the newly evolving branch. Most obvious would this become from the surviving texts of this era especially concerning optics, astronomy, mechanics, or geography. Science however was less than halfway to what meaning we give to it today. The scientific institutions as we recognize them, the broader social recognition of scientific work, the explosion of established scientific knowledge, the generally “applied” science, the introduction of science to the economic functions, and the implications of all these to other social levels like politics, social stratification and mobility, or even the theological and moral debates were still well into the future. It was in the 19th century that disciplines like physics, chemistry, biology, geology, agronomy would assume a recognizable form, new terms would need to be created (biology or physics e.g. ), other terms existing since antiquity would be redefined (mathematician or astronomer e.g. ), and –by the 1870s only—one could finally speak for “science” and the “scientific community” in the modern sense. All the above transformations receive a meaning only if seen from the perspective of delimitation of science, both externally from the other modes of human learning, and internally into different and self-reinforcing regions of knowledge. true that the word “Biology” was firstly used with its almost current meaning exactly on 1800-1802, and its recognizable “Truth” would have to wait the popularity of Darwin’s work decades later. However “Earth” and “Social” sciences did not even exist as main topics of philosophical discussion before the 1800. In the case of the Social Sciences, even the problematic of their definition starts being stirred only in the 1890s, not least because of the influence of biological Darwinism over the social scientists, and the syncretism between naturalistic and socioeconomic worldviews. This continuous magnification would go hand by hand with the formation of scientific institutions, unions and journals that would play further the roles of columns, the nervous system, and the reinforces of the expanding scientific “organism”. Although a number of institutions, unions, “Academies”, are visible already in Italy of the 15th century and, more intense and specialized during the late Enlightenment, it is today generally agreed that only after 1830 the “scientific communities” become evidently different from the “philosophical societies” of the European past, take a shape, adopt “ideologies” and start functioning on a given Paradigm of a scientific discipline inside and outside their respective national borders. It should be noted that the word national becomes increasingly important for the evolution of science, at the end of the 18th century, to reach the point of being crucial during all the length of the 19th. It has been generally assumed that there is a correlation between the rise of Enlightenment, Democratic ideologies, revolutionary nationalism and sentiment, and the booming of science, its popularization and the multiplication of scientific communities both in Europe and North America. And in these cases that “democratization” did not follow the Enlightenment –as in the case of the Reich or the Tsarist Russia—explosive nationalism did; and the scientific institutions would align themselves with the broader societal structures, on an antagonistic “national” basis. Picturing this alignment as a “natural process” would however be only partially true. Because the “long century” did not only bring changes to the “ideologies” and the number of the scientific institutions; it brought deep alteration of their social stand and scope, through their total and unquestioned incorporation into the respective state mechanisms. The French or the Prussian University of the 19th century has a responsibility towards its funder, organizer and patron; and all these roles are being played by one actor: the State. And while it was so, by the 1870s an imaginary “European” scientific community of journals, continuous exchange of letters, prestigious universities and national academies emerges on both sides of the Atlantic; based still however in the above real institutional structures still mentally and actively nationalistic. That implies an unbroken dialectical relationship between the intellectual developments on one side, and the already set social and cultural Paradigms on the other; without however the first to overshadow the second in any case. considered “science”-until at least a great number of experiments proved otherwise; they were not only instruments of progress, but they were also the basic informants about how this progress was expected to be viewed. If Christian Platonism were to play a crucial role to the Scientific Revolution of the 17th century, it was to return—if it ever left—in the “long century” in an even more Christian version. Despite the distancing of the Enlightenment’s scholars and scientists from the Catholic, Protestant and (delayed) the Orthodox worldviews, the social environments and the state mechanisms around them remained largely Christian to their beliefs. Quite soon the view over scientific development became highly deterministic and considered as a one-possible-way towards the human perfection through knowledge. This one-way-evolution idea was reinforced by many factors; the conflict with the set societal values after the French Revolution was demanding an attractive and promising ideology, nationalism was seeking a purpose, the rising socialism a promise; Darwinism would seem to give such an ideological tool by the 1880s, and the pseudoscience of Social Darwinism would eventually reinforce the already wished opinion. Progress was emerging as Paradise. The fact that still today there are historians of science that insist writing their narratives, organized around the central question of “identifying the prejudices that delayed the acceptance of novelties in science” shows to us this heritage of the 19th century, and informs us greatly about this century’s scientists. Indeed the belief of the scientific evolution happening on a straight and inevitable historical line was so strong that it was broadly radiating outside of the borders of the scientific communities as such, influencing in a religious-like manner opinions, ideologies and decisions in politics and economy. This belief is today still widely accepted both inside and outside the scientific community. Although this religious-like belief in scientific progress had the obvious advantage of offering to the scientific community and its state-patron an ideological weapon, namely its undisputable determinism of cause-and-course, it had also drawbacks, albeit less apparent. Probably the one with the greater impact on scientific development as such was concerning the “irreversible” of the “advances”, not only in scientific theory and practices, but also on mentality and behavior. A chemist or a physicist of the 1870s would tend to see as set and “irreversible” not only the progress inside the respectable subject, but also the borderline separating the subjects and their “worldviews” from each other. Under the triumphing logic of the 19th century science, if the “road of progress” has led to the delimitation of chemistry e.g. from its neighbors, to its further fragmentation to inorganic and organic and to the shaping of the given standards, methodologies and institutions, it was because that was indeed the road forward. Therefore, attempts towards new syntheses of subjects or more “holistic” approaches—especially on research—were to be viewed as movements backwards, sometimes even suspected as pseudoscientific; and research attempts on subjects that were placed on the overlapping margins of different scientific disciplines, were not usually received as chances of cooperation between scientists of the different disciplines, but rather as “border-fights” between them. more visible in the case of chemistry; both internally and externally the differentiation battles fought were the more extended and the harder. Chemistry entered the 19th century as the first developed discipline breaking away from the previous century’s natural philosophy, and by the 1830s it was to take a paradigmatic position among the natural sciences, generally accepted as “The Science”. Indeed the discipline was more than qualified for such a distinction; appearing as a main inheritor of a long tradition, including one thousand years of Western Alchemy and the iatro-chemical thought, having been already reinforced from reformations and new institutions at the end of the 18th century, being in a process of systematization and development of a “scientific language”, while presenting a continuously accelerating broadening of knowledge which offered undisputable real solutions to problems, chemistry would become emblematic for coming “era of science” and for the idea of “modernity” yet to appear. Not only would this image exist among the academic casts, but it would soon extend to engulf the middle classes –the winners, and therefore the deep believers of the time–, making the chemical “craft” the first scientific element to enter the popular culture. It has been noted that most of the cultural specimens of the 19th century referring to “science”, actually directly or not they refer to chemistry, while itself the term “scientist” in literature most often seems to imply a “chemist-alchemist” (usually… mad). This demonstrates the influence of “chemistry” onto the understanding of the social environment about science; what it is, what it does, and –eventually-what it is expected to be able to do in the future. However, the picture of the popular context of chemistry—indeed, why chemistry would become so important in a social context during the 19th century—should be seen much more widely both in causes and results. After all, while the undisputable maturity of chemistry, when compared to the other scientific disciplines of the 1800s can explain its influence to the academic circles, it can offer no plausible explanation for its so broad a popularization among the middle classes, its numbers of enthusiasts, and the great numbers of polemics against it. chemistry as a discipline) that were to stretch deep inside the 20th century. And it would influence not only this science, but also its Historians, Philosophers, and didactics. If for the whole History of the 19th century Sciences it is true that it tends to organize around the keystone question of “identifying obstacles that stood in the way of progress”, it is even truer for the History of Chemistry. If for physics “heroic” figures have been invented to replace the real persons of Galileo or Newton, two centuries after their time, in the case of chemistry the hero-building was to be almost co temporal, since the first and most active historians of this science were themselves the actors of its drama –chemists who were anxious to spread the image of their profession as they were seeing it. Indeed, from Thomson in the beginning of the 19th century to Willstätter and his autobiography in the 20th century, a great number of chemists acted as historians of their discipline. All of them were primarily active scientists, more than confident in the success of their ideologised science, protagonists directly or not in (what they saw as) key-point incidents, often involved in the politics of their respective countries, and not rarely inspired by the 19th century nationalism (or even more the quite naturally generated by the colonial structures European “superiority” of civilization). Since all these chemists-historians were sharing more or less the same beliefs, concerning the “straight path to progress” –a path on which the driving force would indisputably be chemistry as the Paradigm, it is not surprising that even today the standard History of the 19th century chemistry seems to follow the order of subjects as they are being taught in any University: Inorganic-Organic-Physical chemistries. Following this standard view, it is accepted that chemistry with its modern form evolved “naturally” in three (and a half) periods. Starting at the end of the 18th century with Lavoisier’s “revolution”, reinforced by Dalton’s atomic hypothesis, an “Inorganic Chemistry period” rose. A second one –of the “Organic” sort- would be initiated around the mid-century with the standardization of the structural formations of the carbonic chains; and a third was soon to follow from the 1870s, by the emergence of physical chemistry and its ionic theories that would bridge the Inorganic and Organic realms (and not chemistry and physics as its name would lead us naturally to assume). This periodization quite logically is followed by a “half” period of industrial chemistry as a “natural” outcome of the advances of the academic research, which is itself separated into “natural” periods: heavy chemistry from the late 18th century, the finer industry of dyes and pharmaceuticals by 1850, and the period initiated by Fritz Haber’s invention of his process for the straight production of ammonia. Because this type of story-telling demands a process of the “thesis-antithesis…-conversion to antithesis” model, instead of the normal dialectics, the story of the 19th century chemistry tends to be organized around important personalities and their advances, and the natural outcome of the “conversion” of their opponents. Therefore only the reasons of the “delays” (in other words, of the blindness of the defeated) remain to be researched. Priestley, known for his contribution in many fields, take such a combative stance in favor of the phlogiston theory and against the “oxygen” one proposed by Lavoisier? Obstacles, prejudices and metaphysical ideas would be the ready answer. Indeed, why did the “oxygen theory” win over phlogiston? Because in the face of natural progress backwardness had to succumb. Or, later, how was it possible that chemists pronounced for their achievements, and having in their possession the active notions of atom, molecule, and element, would fail totally the effort of understanding and adopting the notion of chemical –atomic and molecular, bi-atomic etc. – structures? Was it a case of collective “Blindness”? The reasons behind such resistances to new theories in chemistry through the length of the 19th century are quite diverse from a case to another and from a decade to the next. Despite these diversities however most of these cases of “blindness” become clearer when placed inside the context of the mentality of the chemical communities, especially in the period after the 1830s. As noted before, after the 1830s the chemists can be described as the most “professional” of the overall scientific community, with fixed standards of theory and practice, an understanding of the demarcation of their discipline from the other sciences, and with a developed ideology concerning what their science is, where does it aim at, and how important it can be for the general “road to progress”. Part of this ideology was also the belief that both the external and internal borders of chemistry came out of a natural evolutionary process towards this progress, and that every action that tended to reunify the separated subjects –or disciplines or to subject chemistry to purposes external to it, was an action aiming backwards, and could never understood as progressive. It is quite interesting that most of the controversies and the polemics inside the chemical discipline of this era involve this type of issues of disciplinary identity and external or internal boundaries. Indeed, it would not be an exaggeration to claim that the definition and the redefinition of the boundaries between chemistry and physics or biology contributed profoundly to the shaping of chemistry’s identity. For the atomic hypothesis of Dalton ( 1808 ) to be accepted for example, a controversial stage had to pass where the borders between the “physical” and “chemical” atoms “had to” be distinguished. Towards this target were moving the atomic works of many notable chemists; yes to “atomism”, albeit a “chemical” one (e.g. the attempt of Jean-Baptiste Dumas in the 1830s). Similarly at the 1870s the theories of the Ionists and the development and promotion of physical chemistry would delay, because for this advance a new equilibrium “had to” be reached; one that would not threaten the established institutions, chairs, mentalities of the already fixed world of Inorganic and Organic chemistries. The new sub-discipline had to invent its own language, complete with a perspective on molecules which would not bridge directly chemistry and physics, abandon any “holistic” view of the natural systems that moved towards cancelling the “mechanist” one, in order to be accepted finally as a common keystone of both Inorganic and Organic chemistries. was to be quite useful a Paradigm for the quickly rising Life Sciences, and mostly physiology. That relation would eventually establish itself both ways: The observation of living systems and their natural systems of substances separation–the most obvious of them based on the differing physical properties of the substances involved- would tempt physiologists to construct analogous procedures for use in research. The “border-conflict” between chemistry and physiology had an already rich background by the 1870s, deeply rooted in the older question of the existence or not of a Vis vitalis; the question, that is, whether there is a difference between living and not-living matter or not. The rapid rise and expansion of Organic chemistry by the mid-century had changed the arguments of both sides, but has not really changed the core subject of the discussion. Though the physiologists had to abandon views over “alive” matter, they were maintaining their thesis that life as a phenomenon was a result of systemic organization of chemical compounds, and that these compounds could not be researched and understood out and away of the system that they belong to and the functions that they serve. From their side chemists would extend the mechanist and de-structural positions. Any living being is just a complicated combustion engine which burns carbon and discards carbonic acid; therefore, it can be researched –as a machine- by isolating its components. It is not surprising that the “hybrid” subject of physiological chemistry (biochemistry to be) began its developmental route in the period close following the setting of the theoretical basis of physical chemistry[. Physical chemical understanding of the analytical techniques and the invention of new ones offered extremely valuable tools towards the explanation and modeling of the reaction dynamics and the formable equilibria of the biological chemical compounds. Until the emergence of the new theoretical background, the key and only words of Analysis were “isolation” and “crystallization”; isolation of a single substance from an excess quantity of material, followed by purification of it through crystallization. After a big quantity of the substance wanted was so isolated, in a raw form, it was further purified by selective extraction and more crystallization; until it would be ready to be tested by carrying various reactions with the pure compound. This same procedure was applied to the whole spectrum of cases, including biochemical ones, under the obvious assumption that a biochemical process’s effect is essentially equal to the addition of the effects of the constituent chemical ones. After all, this assumption had worked miracles in tackling real life issues in virtually any field, all through the 19th century. even if that was preventing the researcher from making questions about their role in the complex system. Though in the decades following 1880 the disadvantages of the traditional techniques when confronted with the analysis of biological compounds would become evident, the recognition of the existence of these disadvantages at the time would demand a shift of opinion among Organic chemists; namely they would have to allow for a “living matter” as a somehow special case of matter (quite obviously, a “mystical” view for a chemist of the day). Therefore, the systemic research of biological chemistry would de facto be left to the ones that were indeed carrying this belief, albeit not radically pronounced: physiologists of every sub-field. It would be under the instigation and the demands of their research that the most dominating analytical practices of the day would be altered or replaced altogether. The new approach would take into consideration those things that for classical analytics did not matter and its adherents would attempt to model their solutions analogically to the natural processes of separation of the living organisms. … μέλος της οργάνωσης «Τα παιδιά του Δον Κιχώτη» που βοηθάει τους άστεγους του Μπορντό, αυτοκτόνησε τις προάλλες πέφτοντας από τον τρίτο όροφο του πάρκινγκ Βικτόρ Ουγκώ. Πόση δυστυχία μπορεί να αντέξει σήμερα ένας Δον Κιχώτης; Νομίζαμε πως αυτά που έγραφε ο συγγραφέας των «Αθλίων» για άστεγους και πεινασμένους ήταν για άλλες εποχές. Τώρα, η Γαλλία ανακαλύπτει ξανά τους αθλίους της, όπως και ο υπόλοιπος δυτικός κόσμος τους δικούς του. … που εκείνος ο φοιτητής έκανε το τραγικό σάλτο μορτάλε, επίσημη γαλλική έρευνα αποκάλυπτε πως 40.000 φοιτήτριες επιδίδονται στην πορνεία για να επιβιώσουν. Όπως έγραψε η εφημερίδα «Λιμπερασιόν», ολοένα και περισσότερες νέες προτιμούν ένα νέο είδος συγκατοίκησης: με αντάλλαγμα τη δωρεάν διαμονή, προσφέρουν τις σεξουαλικές υπηρεσίες τους σε όποιον τις σπιτώνει. … η νεότητα που εκπορνεύεται κυριολεκτικά και μεταφορικά, σε δουλειές του ποδαριού. Από την άλλη τα γηρατειά που, αφού το περίμεναν πώς και πώς μια ζωή, διαπιστώνουν με πικρία πως το όνειρο της «ντόλτσε βίτα» του συνταξιούχου είναι φευγαλέο. Αυτές τις ανισότητες, αυτούς τους εκβιασμούς στον τόπο εργασίας ή στον τόπο κατοικίας, που εξαναγκάζουν τους ανθρώπους να υποκύπτουν στη διαφθορά, έχουμε φτάσει σήμερα να τις θεωρούμε αναπόδραστες συνέπειες της προόδου, σαν να μη μπορεί να γίνει αλλιώς. Κι όμως, κάποτε πιστεύαμε πως αυτή η πρόοδος ήταν κάτι θετικό. Ώσπου, πριν από πενήντα χρόνια ακριβώς, ο Τζον Κένεθ Γκαλμπρέιθ δημοσίευε το βιβλίο του «Η κοινωνία της αφθονίας». Ήταν μια πολεμική ενάντια στο πνεύμα της εποχής του. Το 1958, η Αμερική ζούσε στον παράδεισο μιας ραγδαίας οικονομικής ανάπτυξης. Γι΄ αυτό ακριβώς, το βιβλίο του Γκαλμπρέιθ, που ήταν τότε καθηγητής στο Χάρβαρντ, την τάραξε πολύ. Επειδή έδειχνε για πρώτη φορά τις σκοτεινές γωνιές αυτού του παραδείσου. «Αργά ή γρήγορα», έλεγε ο Γκαλμπρέιθ, «το ενδιαφέρον που δείχνουμε για την ποσότητα των παραγόμενων αγαθών, δηλαδή για την αύξηση του ακαθάριστου εγχώριου προϊόντος, θα πρέπει να επικεντρωθεί στο μεγαλύτερο ζήτημα της ποιότητας ζωής που μας παρέχουν». Η έμφαση στην αχαλίνωτη αύξηση της παραγωγής έμπαινε στο στόχαστρο του Γκαλμπρέιθ, ο οποίος ήταν αυτός που κατέρριψε από το βάθρο του τον μύθο πως αυτή η αύξηση πρέπει να αποτελεί τον κυριότερο στόχο της ζωής μας. Πάνω στο βιβλίο του Γκαλμπρέιθ στηρίχτηκαν κατοπινοί οικονομολόγοι για να καταγγείλουν την τυφλή υποταγή της οικονομίας και της πολιτικής στη συσσώρευση υλικής «προόδου». Αυτή η συσσώρευση, έγραφαν αργότερα ο Ουίλιαμ Νόρντχαους και ο Τζέιμς Τόμπιν, παράγει εισοδηματικές ανισότητες και διαφθορά. … που οι καλοί τρέχουν να κρυφτούν και που η διαφθορά των πολιτών παραβγαίνει με τη διαφθορά των κυβερνώντων, χάνονται οι επιστήμονες, οι καλλιτέχνες, οι ποιητές, οι εφευρέτες. Γιατί πρώτα η ομίχλη θολώνει τη συνείδηση και κατόπιν το μυαλό. Και τότε είναι που αυτή η χώρα ξεπέφτει όσο δεν έχει ξεπέσει ποτέ άλλοτε στην ιστορία της. Tώρα που τελείωσαν τα ταρατατζούμ, μπορώ επιτέλους να ρωτήσω. Απλή απώθηση του φόβου του θανάτου; Πιθανόν… Δεδομένο πρόβλημα του Δυτικού Κόσμου, που πάει πακέτο με τον καταναλωτισμό. Ατυχώς, στην αγορά δεν πωλούνται παρά μόνον φτηνά υποκατάστατα αιώνιας νεότητας (και σεξουαλικής ενεργότητας). Εάν είν’ αυτός ο λόγος, υποχρεωτικό… πάσο! Διάολε, αυτό ακόμη και ο Καστοριάδης μπόρεσε απλά να το σχολιάσει, και τίποτα παραπάνω. 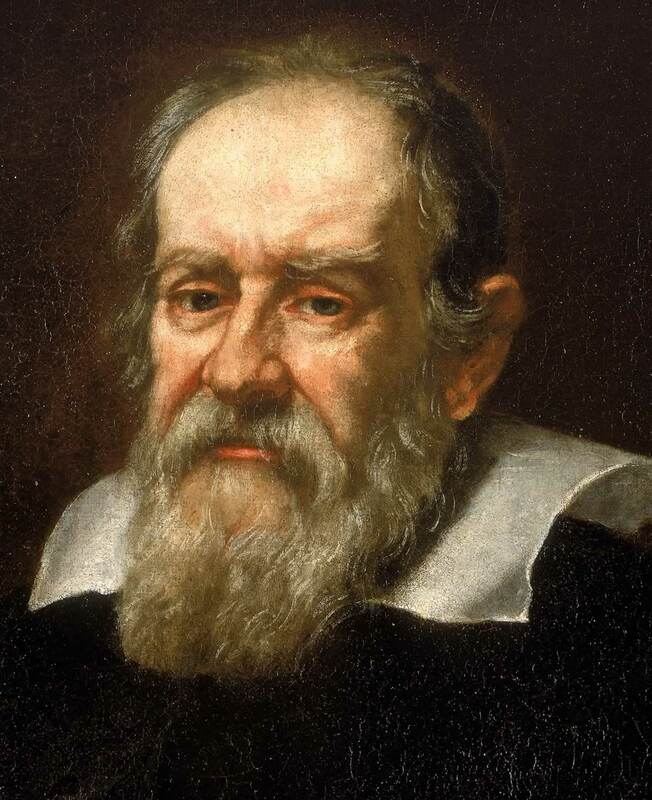 Ο Γαλιλαίος (Galileo Galilei, 1564 – 1642), υπήρξε μια από τις πλέον εμβληματικές φιγούρες της σύγχρονης επιστήμης -τόσο ώστε το όνομά του, για την ιστορία της επιστήμης να χρησιμοποιείται ως το σημείο διαχωρισμού ανάμεσα στην εποχή της Αναγέννησης (όρος του οποίου το δόκιμον έχει πολλές φορές αμφισβητηθεί) και την Σύγχρονη (όρος που θα αμφισβητείται για καιρό ακόμα…). Η ιστορία είναι σε γενικές γραμμές γνωστή: Κοπερνίκεια υπόθεση με τον Ήλιο στο κέντρο και τη Γη να κινείται, σε αντίθεση με την εικόνα της Θωμιστικής θεολογίας που αποτελούσε την κυρίαρχη, και εκκλησιαστικά αποδεκτή, κοσμολογία… ΄Ενας ηρωικός ανιδιοτελής επιστήμονας – επαναστάτης που διαφωνεί και θαρραλέα διατυπώνει τις απόψεις του υπέρ της πρώτης και ενάντια στη δεύτερη… Μία κυρίαρχη Θεοκρατία που σπεύδει να συντρίψει τον αμφισβητία… Ο αμφισβητίας καταστρέφεται από την Ιερά Εξέταση, αλλά η μηχανή που αυτός έβαλε σε κίνηση εν τέλει θριαμβεύει… Η αλήθεια, όπως πάντα, θα επικρατήσει! Και μόνον το παραπάνω μοτίβο θα ήταν αρκετό για να προβληματίσει τον αντικειμενικό ερευνητή. Είναι -κυριολεκτικά- προβλέψιμα… ηρωικό. Υπάρχουν στοιχεία της ιστορίας που παραλείπονται στην δημοφιλή εκδοχή της , που πιθανώς θα άλλαζαν λίγο την εικόνα που παραδοσιακά μεταφέρεται και θα οδηγούσαν σε πληρέστερη κατανόηση των πρωταγωνιστών, της εποχής, αλλά και των ειδικών συνθηκών που έχτισαν το «έπος του 1633». Ο Γαλιλαίος το 1610 εγκατέλειψε το Πανεπιστήμιο της Πάδουας για την αυλή των Δουκών της Τοσκάνης, Μεδίκων, όπου και έλαβε τη θέση τού «Φιλόσοφου της Αυλής». Η αναζήτηση προστάτη ευγενούς ήταν στόχος του ήδη μια δεκαετία πιο πριν, και στην υπηρεσία αυτού του στόχου είχε επενδύσει ολόκληρο το δίκτυό του από φίλους και θαυμαστές, αλλά και σημαντικό μέρος της περιουσίας του και της επιστημονικής του φήμης. Επιστήμονας, αλλά και αρχηγός ο ίδιος μιας από τις μικρές «ευγενείς» φαμίλιες της Τοσκάνης, επιδιώκει μέσα στη δεδομένη μπαρόκ πραγματικότητα και την κοινωνική άνοδο του κλαν, η οποία δεν μπορεί να επιτευχθεί μέσω της θέσης τού πανεπιστημιακού. Πρέπει εδώ να σημειωθεί ότι είναι σημαντικό να δούμε αυτήν την πλευρά του Γαλιλαίου -την πολιτική του πλευρά- για να αντιληφθούμε όσο το δυνατόν την ακολουθία των γεγονότων που θα οδηγήσουν 23 χρόνια αργότερα στην καταδίκη του για «αίρεση». Κάτω από την υψηλή προστασία των Μεδίκων, ο Γαλιλαίος θα γίνει πολύ γρήγορα το αστέρι των επιστημών σε ολόκληρη την Ιταλία και, κυρίως, στη Ρώμη. Αν και πιστός Καθολικός,είναι οπαδός των ιδεών του Κοπέρνικου και εκφράζεται ανοικτά υπέρ της ηλιοκεντρικής θεώρησης (δεν θεωρεί τα δύο ασυμβίβαστα) γεγονός που του δημιουργεί προβλήματα με την εκκλησία το 1616. Ανάμεσα στους υποστηρικτές του σε αυτήν την περίπτωση είναι και ο μελλοντικός Πάπας, καρδινάλιος Maffeo Barberini. Μετά το 1616, ο Γαλιλαίος μένει μακριά από το ζήτημα. Θα επανέρθει το 1623, ενθαρρυμένος από την εκλογή του φίλου και υποστηρικτή του Barberini ως Πάπα Ουρβανο Η’. Όπως χαρακτηριστικά γράφει ο ίδιος σε επιστολή προς τον Πρίγκιπα Cesi το ίδιο έτος, η εκλογή τού Ουρβανού Η’ «αποτελεί μια θαυμάσια σύμπτωση που τον κάνει να σκέφτεται την δυνατότητα αλλαγών εντός της Δημοκρατίας των Γραμμάτων». Η αλλαγές έχουν σίγουρα να κάνουν με τον Ηλιοκεντρισμό. Μετά τα προβλήματα του 1616, το όνομα του Γαλιλαίου -και κατά επέκταση του Δούκα της Τοσκάνης- έχει συνδεθεί με την Κοπερνίκεια θεωρία, γεγονός που καθιστά την «νομιμοποίηση» αυτής ιδιαίτερα σημαντική για την καριέρα και την φήμη του. Συν τοις άλλοις, η ηλικία του είναι πια πολύ προχωρημένη για τα δεδομένα της εποχής. Και οι δύο παράμετροι συνηγορούν στο μυαλό του, να εκμεταλευθεί την προσωπική του σχέση με τον Πάπα και να αναλάβει γρήγορα δράση. Το έργο «Διάλογος σχετικά με τα δύο κύρια συστήματα του Κόσμου»(Dialogo sopra i due massimi sistemi del mondo), ήταν έτοιμο προς έκδοση σίγουρα το 1630, όταν ο Γαλιλαίος υποβάλει τα χειρόγραφα προς έγκριση στη Ρώμη. Ο υπεύθυνος για τον έλεγχο πατέρας Niccolo Riccardi εξέδωσε imprimatur για το βιβλίο, αλλά εξέφρασε την επιθυμία για αλλαγές και το ξαναγράψιμο του Προλόγου και του Επιλόγου. Η αρχική επιθυμία του Γαλιλαίου ήταν το βιβλίο να εκδοθεί από την Ακαδημία (Academia dei Lincei) στη Ρώμη. Αλλά οι καθυστερήσεις -ανάμεσα τους και μία επιδημία Πανούκλας- τον οδήγησαν να αρχίσει να πιέζει για την έκδοση του βιβλίου στην Φλωρεντία. Επιστρατεύοντας το προσωπικό του δίκτυο, αλλά και αυτό τού ισχυρού προστάτη του, εν τέλει πέτυχε την μεταφορά του «τελικού ok» στον Ιεροεξεταστή της Φλωρεντίας. Το βιβλίο εγκρίθηκε και πήγε στο τυπογραφείο. Ο ίδιος ο Ουρβανός, συνεχώς υπό πίεση, είχε αρχίσει να δείχνει σημάδια εξάντλησης και ψυχικής διαταραχής, τρέμοντας επίδοξους συνωμότες ανάμεσα στους πλέον επίλεκτους αυλικούς του. Το πρώτο θύμα της φοβίας του ήταν ήδη απο τον Απρίλιο του 1630 ο προστατευόμενός του Giampoli, ο οποίος έπεσε σε δυσμένεια και εγκατέλειψε τη Ρώμη. Δηλαδή η εκκαθάριση των ευνοούμενων έχει ήδη ξεκινήσει. Η «πτώση του ευνοούμενου» ήταν ο πλέον διαδεδομένος μηχανισμός κινητικότητας εντός των αυλών της εποχής, και ο πιο αποτελεσματικός μηχανισμός ελέγχου της συμπεριφοράς των αυλικών. Η βασική ιδέα προφανής: ένας ευνοούμενος αυλικός (δείχνει σε όλους τους υπολοίπους, τι μπορούν να απολαύσουν εάν προσπαθήσουν αρκετά), ο οποίος «προδίδει» την εμπιστοσύνη που του έδειξε ο «αγαθός ηγεμόνας» (παράβαση). Ο ηγεμόνας «υποφέρει ειλικρινά» από την προδοσία τού «φίλου του», αλλά πρέπει να τον θυσιάσει για χάρη της «δικαιοσύνης»… Η Πτώση του ευνοούμενου γίνεται βίαια, ταχύτατα, και είναι απόλυτη (επίδειξη της δυνάμεως του άρχοντα, παράδειγμα στους υπολοίπους αυλικούς, αλλά και απελευθέρωση της κορυφαίας θέσης-σύνθημα στους αυλικούς να αγωνιστούν για την καρδιά του ηγέτη τους). Η πτώση του ευνοούμενου δεν είναι ατύχημα, αλλά μια φυσική διαδικασία, η οποία αυξάνει την ισχύ και το γόητρο του άρχοντα, όσο και η άνοδος του ίδιου ευνοούμενου… Από την στιγμή δε που αυτή ξεκινά, το μεγαλύτερο λάθος που μπορεί να κάνει ο αυλικός-στόχος είναι να επιχειρήσει να την ανακόψει (να υπερασπιστεί τον εαυτό του). Όχι μόνον είναι μάταιο, αλλά μπορεί να αποβεί και μοιραίο. Και ο Γαλιλαίος είναι στη θαυμάσια θέση το 1632 να είναι στη θέση του ευνοούμενου φιλοσόφου του Πάπα, τη στιγμή ακριβώς που αυτός χρειάζεται μια Πτώση (πιασάρικου ονόματος) για να τραβήξει τα βλέμματα της Κοινής Γνώμης από τη σουηδική πρόκληση, να βουλώσει τα στόματα Ισπανών και συντηρητικών Καρδιναλίων, να επιδείξει την Ιερή Δικαιοσύνη (αλλά και να ελευθερώσει τη θέση του σταρ-φιλοσόφου στον ανταγωνισμό). Το καλοκαίρι του 1632 ο Πάπας διέταξε την απόσυρση του βιβλίου από την κυκλοφορία και όρισε μια «ειδική επιτροπή», με στόχο την διερεύνηση πιθανών παραβάσεων από τον συγγραφέα. Με συνοπτικότατες διαδικασίες, το θέμα παραπέμφθηκε στην Ιερά Εξέταση, που -με ακόμη συνοπτικότερες διαδικασίες- κάλεσε τον Γαλιλαίο σε απολογία. Ο κατηγορούμενος θα επιχειρήσει να παίξει καθυστερήσεις, κινητοποιώντας για άλλη μια φορά τη μηχανή των διασυνδέσεων, των δικών του, αλλά και των Μεδίκων. Άλλο 1616 και άλλο 1632 όμως. Αποφασισμένος να υπερασπιστεί τον εαυτό του, παρά την αδυναμία των φίλων του, ο Γαλιλαίος θα φτάσει τελικά στη Ρώμη τον Φεβρουάριο του 1633. Ο πρεσβευτής του Δουκάτου της Τοσκάνης στα Παπικά Ανάκτορα στέκεται στο πλευρό του. Θα τον συμβουλέψει να ομολογήσει την «αιρετικότητα» των γραφομένων στο βιβλίο του, να «μετανοήσει» (και φυσικά να διαπραγματευτεί μια ήπια ποινή), αλλά για τον Γαλιλαίο η παραδοχή τής «ενοχής» είναι αδιανόητη. Η Δίκη ξεκινά τον Απρίλιο του 1633 και ολοκληρώνεται τον Ιούνιο. Κατά τη διάρκειά της, ο Γαλιλαίος επιχειρεί να υπερασπιστεί τον εαυτό του, απέναντι σε μια Ιερά Εξέταση που έχει λάβει εντολή… ότι είναι ένοχος. Η παπική ισχύς ολόκληρη έχει επενδυθεί σ’ αυτή τη διαδικασία, και η Αγία Έδρα περιμένει φυσικά από τον κατηγορούμενο να ομολογήσει και όχι να διαφωνεί με το κατηγορητήριο. Τα πρακτικά δε της Δίκης φανερώνουν ανάγλυφα τα παζάρια γύρω από τον Γαλιλαίο… Οι Ιεροεξεταστές επιθυμούν να τον καταδικάσουν με την ομολογία του, και προσφέρουν γι’ αυτό… δελεαστικές ποινές. Εν τέλει ο Γαλιλαίος θα καταδικαστεί (χωρίς να ομολογήσει), πρακτικά σε κατ’ οίκον περιορισμό… Το συγκεκριμένο βιβλίο του δε, θα παραμείνει στη λίστα των απαγορευμένων μέχρι και τον 19ο αιώνα. Το 1634, η Ρώμη θα υποδεχτεί το νέο αστέρι της Φυσικής Φιλοσοφίας: είναι ο πολυμαθής Ιησουίτης Athanasius Kircher. «Αν θες να ξεμπλέξεις, ξαναβάλε το βιβλίο Ιστορίας στα σχολεία». Λοιπόν, έχουμε και λέμε:1 Ο πληθωρισμός τρέχει με κοντά 4% -ο επίσημος, όχι ο κανονικός- και η κυβέρνηση μέσω των τραπεζιτών διαμήνυσε στους πολίτες να μη ζητάνε αυξήσεις, γιατί δεν θα πάρουν πάνω από 3. Τοις εκατό, εννοείται. Τα άλλα τρία τα παίρνουν ήδη.2 Σύμφωνα με την τελευταία έκθεση της Ε.Ε., η Ελλάδα βρίσκεται στις τελευταίες θέσεις εισροής ξένων επενδύσεων. Βρίσκεται, όμως, στις πρώτες ξένων ενδύσεων. 3 Σύμφωνα με την ίδια έκθεση του μηνός Δεκεμβρίου, η ακρίβεια καλπάζει στη χώρα με τον ταχύτερο ρυθμό στην Ευρώπη. Πάντα ο τόπος εκτιμούσε περισσότερο τα άλογα του ιπποδρόμου από τα έλλογα του δρόμου. 4 Η παραγωγή αγαθών και προϊόντων, επίσης, μειώνεται, επειδή άλλες επιχειρήσεις κλείνουν και άλλες μεταφέρονται στις γειτονικές χώρες με φθηνότερα εργατικά χέρια. Για ακριβότερα εργοδοτικά επιπόδια. 5 Η ανεργία, σύμφωνα με τους αριθμούς, αυξάνεται και αγγίζει περίπου 500.000 πολίτες, στην πλειοψηφία τους νέους. Είναι ο μόνος τρόπος για να βρίσκουν δουλειά οι ξένοι μετανάστες. Πάντα είχα απορία πώς διάολο δεν χτυπάει η ανεργία των νέων τους μετανάστες. 6 Οι τουρίστες που ήρθαν στη χώρα τους τελευταίους μήνες είναι οι λιγότεροι των τελευταίων πολλών χρόνων, με αποτέλεσμα να μαραζώνουν ξενοδοχεία, γραφεία, μεταφορές, που εκτιμούν ότι φταίει η ακρίβεια και η κακής ποιότητας παροχή υπηρεσιών σε όλο το φάσμα της χώρας. Περίεργο. Δεν εκτιμούν ότι, αντί για γκαρσόνια, θέλουμε να είμαστε οι μετρ της Ευρώπης; Βρε ουστ από δω, που θέλετε και παροχή υπηρεσιών. 7 Οι υπηρεσίες ελέγχου, μόνο από τους δειγματοληπτικούς ελέγχους, διαπιστώνουν ότι το 40% των τροφίμων που πουλιώνται στην Ελλάδα είτε είναι ληγμένα, είτε ακατάλληλα για κατανάλωση. Είναι γιατί ψωνίζουμε το άλλο 60%. 8 Επίσης, σχεδόν το μισό δίκτυο ύδρευσης της χώρας είναι από επιβλαβές έως επικίνδυνο για την υγεία των πολιτών. Αν φτιαχνόταν, θα ήταν επιβλαβές για την υγεία των τοπικών αρχόντων. 9 Α! Οι δήμοι και οι κοινότητες, οι πολεοδομίες και οι εφορίες είναι οι πιο διεφθαρμένοι οργανισμοί του κράτους, σύμφωνα με το Ελεγκτικό Συνέδριο και τους Συνηγόρους του Πολίτη και του Καταναλωτή. Δεν είναι, σύμφωνα με τους Συνηγόρους του διαβόλου. 10 Κατά τον αρμόδιο υπουργό, η Υγεία χρειάζεται ένα νέο Σύστημα, γιατί το υπάρχον έχει εξαντλήσει τα όριά του. Και τα δικά μας. 11 Κανείς πανεπιστημιακός καθηγητής δεν δέχεται να συμμετάσχει στο διαγωνισμό για τη συγγραφή του νέου βιβλίου Ιστορίας για την ΣΤ’ Δημοτικού. Απόκτησαν το γνώθι σαυτόν. Αν και η στάση τους αυτή μαρτυράει ότι τους ενδιαφέρει πιο πολύ να υπερασπιστούν τη σύγκρουση του εαυτούλη τους με το κράτος, του οποίου είναι και τρόφιμοι, από το να πασχίσουν να μορφώσουν τα σχολιαρόπαιδα, μαχόμενοι τους ηλίθιους όρους του κάθε παιδαγωγικού ινστιτούτου. Λες και οι όροι είναι σημερινοί και δεν υπάρχουν με τη συνενοχή τους. 11α Να μη μιλήσουμε για το σύστημα συγγραφής των σχολικών και πανεπιστημιακών βιβλίων, συγγραμμάτων και βοηθημάτων, για τους διαγωνισμούς, τους τρόπους επιλογής, τις αμοιβές, την αξιολόγηση. Στην πλάτη παιδιών, εφήβων και μισθοσυντήρητων γονέων. 12 Σύμφωνα με τα στοιχεία όλων των ερευνών, μελετών και μητρώων, το ασφαλιστικό σύστημα της χώρας κινδυνεύει μόνο και μόνο γιατί το Δημόσιο αρνείται να πληρώσει τις εισφορές του και βοηθάει και όσους εργοδότες αρνούνται να πληρώσουν τις εισφορές τους. 13 Πάνω από 300.000 δικαστικές αποφάσεις εκκρεμούν -οι 30.000 μόνο στο Συμβούλιο Επικρατείας- από το ικανοποιημένο από τον εαυτό του σύστημα Δικαιοσύνης. Καλύτερα που εκκρεμούν. Μπορεί να είναι σαν αυτές που βγαίνουν. 14 Και ένα ποσοστό μεγαλύτερο από 10% στα Σώματα Ασφαλείας συμμετέχει ή τα ‘χει κάνει πλακάκια με τον υπόκοσμο. Η αλήθεια είναι ότι μερικές φορές ο υπόκοσμος είναι πιο καθαρός από τον κόσμο. 15 Ο δήμαρχος Αθηναίων ανακάλυψε ότι ένα μέρος των σκουπιδιάρικων της πόλης είναι ύποπτα παροπλισμένα, ενώ σέρνονται καταγγελίες για αλισβερίσια με επαγγελματίες σε πλούσιες γειτονιές, για τη συγκομιδή των σκουπιδιών. Για να ξέρεις ότι δεν έρχεται από τα σκουπίδια η μεγάλη βρόμα. 16 Και, ενώ, εμείς θα πάρουμε τις αυξήσεις, που λέγαμε, οι βουλευτές πήραν αύξηση 30% από 1ης Ιανουαρίου και η αποζημίωσή τους πήγε από τα 6.500 ευρώ στα 10.500 ευρώ το μήνα, επειδή αναπροσαρμόστηκε αυτομάτως με τις αποδοχές των ανώτατων δικαστών. Για να αντιπροσωπεύουν και οι δύο επάξια το λαό. 17 Οι τράπεζες αυξάνουν τα επιτόκια δανεισμού των πολιτών όπως και όποτε αποφασίσουν, ενώ δίνουν ψίχουλα στα επιτόκια καταθέσεων, κατά παράβαση κάθε ευρωπαϊκής πρακτικής τραπεζών, χωρίς να ελέγχονται από κανέναν, ενώ δεν αλλάζουν τους καταχρηστικούς όρους δανεισμού, που έχουν κριθεί παράνομοι από τα δικαστήρια. Ολα αυτά, με τα λεφτά του λαού. 18 Πάνω από τα μισά σπίτια της χώρας έχουν πολεοδομική παρανομία, είτε κατά το χτίσιμό τους, είτε μετά. Για όλες αυτές οι ίδιοι οι πολίτες έχουν παρακαλέσει, ξεγελάσει, λαδώσει, διαφθείρει. Αυτούς, τους οποίους μετά καταγγέλλουν ως διεφθαρμένους. Τουλάχιστον, σ’ αυτόν τον τομέα, οι πολίτες, από τους πλούσιους ώς τους φτωχούς είναι ίσοι. Τους διαφοροποιεί το μέγεθος της παρανομίας. 19 Οι αγροτικοί συνεταιρισμοί συχνά κλέβουν τους ίδιους τους αγρότες του συνεταιρισμού με διάφορα κόλπα σε αξιολογήσεις και μετρήσεις, αλλά σπάνια, ως ποτέ, κάτι αποκαλύπτεται από το φόβο των αντιποίνων στην επόμενη σοδειά. Των αγροτών, όχι των συνεταιρισμών. 20 Σύμφωνα με τα στοιχεία των ερευνητικών αρχών, σε καμία χώρα της Ευρώπης δεν υπάρχει εκτεταμένη κλοπή του δημόσιου χρήματος -δηλαδή του μελλοντικού δρόμου, του σχολείου, του λιμανιού, του αεροδρομίου- με έκδοση πλαστών τιμολογίων, όπως στην Ελλάδα. Ούτε στην Ιταλία. Αλλά στην Ιταλία όλα αυτά γίνονται από την κουτσή Μαφία. Δεν γίνονται κι απ’ την κουτσή Μαρία. 21 Με όλα αυτά τα παραπάνω, η χώρα κλείνει μήνα, που βομβαρδίζεται με την υπόθεση Ζαχόπουλου. ΥΓ Ο αρχιεπίσκοπος Χριστόδουλος πεθαίνει. Οχι τώρα, αλλά εδώ και μήνες. Το ξέρει ο ίδιος και οι γιατροί. Ο καρκίνος του συκωτιού είναι θανατηφόρος, εξαιρετικά επιθετικός, συνήθως πολύ επώδυνος και οδηγεί τον άρρωστο στην έξοδο, συνοδεία ισχυρότατων οπιοειδών, που τον ναρκώνουν όλο και περισσότερο. Δύο είναι οι ευχές όλων των καλών γιατρών. Να φύγει ο άνθρωπος το ταχύτερο και να φύγει στο σπίτι του. συνιστούν νοσοκομείο για να τον σώσουν από τούτο ή από κείνο. Από τους μόνους που έχει ανάγκη να σωθεί ο αρχιεπίσκοπος είναι από τους ανεύθυνους, τους άσχετους και τα κοράκια. Οι πρώτοι ανήκουν στη δημοσιογραφική φαμίλια. Ο λαός έχει δικαίωμα να ξέρει στα σοβαρά την αλήθεια, γι’ αυτά που συμβαίνουν γύρω του. Αλλά, ποιος την έχασε τη σοβαρότητα για να τη βρει το πνευματικό λούμπεν που λυμαίνεται εδώ και χρόνια τον τόπο. Οταν αποκωδικοποιούνται οι δημοσιευμένες του 2004 απόρρητες επιστολές του Κίσινγκερ, αποκαλύπτουν ότι τους μεγάλους στόχους του για το κρίσιμο τότε έτος 1973 πάντα έκρυβαν οι μικρές λέξεις και οι μεγάλες την πολιτική του «βήμα προς βήμα». Ως υπουργός Εξωτερικών που χειρίστηκε τα γεωστρατηγικά συμφέροντα των ΗΠΑ κατά τη διάρκεια της διεθνούς κρίσης που προκάλεσε η απόφαση της Σαουδικής Αραβίας να διακόψει τη ροή του «μαύρου χρυσού» το 1973 εξαιτίας της έμπρακτης στρατιωτικής στήριξης που παρείχαν οι Αμερικανοί στο Ισραήλ όταν αυτό έχανε τον πόλεμο του 1973, ο Κίσινγκερ ήθελε να πετύχει τρεις στόχους: πρώτον, να αφοπλίσει τους Αραβες από το όπλο του πετρελαίου, δεύτερον να επιστραφούν στους Αραβες όσο το δυνατόν λιγότερα κατεχόμενα εδάφη και, τρίτον, περισσότερη ασφάλεια στο Ισραήλ. Εκτοτε οι ΗΠΑ προσπαθούν να πετύχουν τους ίδιους στόχους. Σήμερα, κοιτώντας αυτό το μαθηματικο-πολιτικό τρίγωνο (πετρέλαιο-εδάφη-ασφάλεια) του Κίσινγκερ και των διαδόχων του βλέπουμε ότι με τη συνεχώς αυξανόμενη ροή πετρελαίου, την πραγματική τιμή του να ανεβαίνει και να συμπλέει με την ονομαστική, για να φτάσει σήμερα τα 98 δολάρια το βαρέλι, και την ασφάλεια του Ισραήλ να απειλείται από ισχυρότερους αντιπάλους και, τέλος, να κατέχονται περισσότερα αραβικά εδάφη (αμερικανική κατοχή στο Ιράκ), δεν έχουμε παρά να διαπιστώσουμε ότι στην πράξη το δόγμα «βήμα προς βήμα» μετεξελίχθηκε σε ένα άλλο δόγμα, «πόλεμο προς πόλεμο», το οποίο ακολουθούν πιστά και από κοινού οι ΗΠΑ και το Ισραήλ εδώ και 34 χρόνια, προκειμένου να εξασφαλίζουν μόνο την «ασφάλεια» για το Ισραήλ. Η υπερβάλλουσα ζήτηση για την ασφάλεια του Ισραήλ οδηγεί στην αύξηση της τιμής του πετρελαίου και, όσο αυξάνεται η ζήτηση της ασφάλειας, τόσο θα αυξάνεται η τιμή του πετρελαίου. Μια μέρα όμως οι ΗΠΑ θα αποστρέφονται τη ζήτηση αυτή, με αποτέλεσμα η ασφάλεια του Ισραήλ να μένει στο ράφι εξαιτίας της ακριβής τιμής του πετρελαίου. Αυτός είναι ο νόμος του πολέμου. Οταν άρχισε ο Κίσινγκερ να εφαρμόζει τη πολιτική του, το 1973 η τιμή του πετρελαίου ήταν μόλις 5 δολάρια το βαρέλι. Τότε επέλεξε και ο πρόεδρος της Αιγύπτου Ανουάρ αλ Σαντάτ να ακολουθήσει έναν μοναχικό δρόμο, μακριά δηλαδή από την πολιτική της «συνολικής λύσης» που ακολουθούσαν τα αραβικά κράτη, γιατί πίστευε πως δεν θα μπορούσε να του επαναφέρει τα εδάφη του Σινά, μετά τη νίκη του στον πόλεμο του 1973. Συμφώνησε τότε να διαπραγματεύεται με τον Κίσινγκερ και συμφώνησε να ασκήσει πιέσεις στη Σαουδική Αραβία για να σταματήσει το εμπάργκο πετρελαίου που εφάρμοσε το 1973, με αντάλλαγμα οι ΗΠΑ να του επιστρέψουν τα κατεχόμενα εδάφη του Σινά. Ετσι και έγινε, βάσει της Συμφωνίας Καμπ Ντέιβιντ. Αυτή όμως είναι η μία πλευρά της αλήθειας· η άλλη έλεγε ότι το Ισραήλ, βασιζόμενο στο δόγμα «πρώτα η ασφάλεια», ήθελε να προχωρήσει η ειρηνευτική διαδικασία στο μέτωπο της Αιγύπτου, επειδή παραδέχτηκε την αποτυχία στο μέτωπο της Αιγύπτου. Η παραίτηση εξάλλου της τότε πρωθυπουργού Γκόλντα Μέιρ ήταν αποτέλεσμα της αποδοχής αυτής. Βάσει της αποτυχίας οι στρατιωτικοί κατέληξαν στο συμπέρασμα ότι ο στρατός του Ισραήλ δεν μπορεί πια να ελέγχει συγχρόνως δυο τεράστιες περιοχές: την έρημο Νεγκέφ, που αποτελεί το 55% του Ισραήλ, και όλη τη χερσόνησο του Σινά των 60.000 τετραγωνικών χιλιομέτρων, δηλαδή μια περιοχή 3 φορές μεγαλύτερη του Ισραήλ, απέναντι σ’ έναν ισχυρό πια αραβικό στρατό, εκείνο της Αιγύπτου. Αυτές τις εκτιμήσεις που γνώριζε ο Σαντάντ από τις μυστικές του υπηρεσίες και τον οδήγησαν στον μοναχικό δρόμο. Το 1973 στη Μάχη Bar-Lev, οι Αιγύπτιοι κατάφεραν με 80.000 στρατιώτες να περάσουν την πολύ ισχυρή γραμμή άμυνας σε λίγες ώρες, σκοτώνοντας 1.200 στρατιώτες, με ελάχιστες απώλειες 200 στρατιώτες. Το 2006 το Ισραήλ, εκτός του ότι παραδέχτηκε ότι απέτυχε στον πόλεμό του εναντίον της Χεζμπολάχ, έκανε για ακόμα μία φορά σοβαρότερο το πρόβλημα ασφάλειας για το Ισραήλ. Το πρόβλημα το ανέδειξαν οι 3.970 Κατιούσα που εκτόξευσε η Χεζμπολάχ στο Ισραήλ σε 33 μέρες, δηλαδή 120 Κατιούσα τη μέρα. Από αυτό το γεγονός προέκυψε ένα ακόμα πρόβλημα ασφάλειας για το Ισραήλ, και μάλιστα πιο επικίνδυνο, το οποίο ονομάζεται «πυραυλική δύναμη» της Συρίας. Η Συρία, λένε Ισραηλινοί στρατιωτικοί, διαθέτει ισχυρότερες και πιο αποτελεσματικές Κατιούσα, αλλά και πυραύλους πολλών τύπων με μεγαλύτερη εμβέλεια και, το χειρότερο, λένε ότι μπορεί να εκτοξεύει 1.000 Κατιούσα τη μέρα. Η στρατηγική των αποφοίτων της ισραηλινής «σχολής ασφαλείας» πρόσθεσαν στη λίστα του Ισραήλ ισχυρότερους εχθρούς για την «ασφάλειά» του. Σήμερα, για να εξασφαλίσει το Ισραήλ την πολυπόθητη αυτή ασφάλεια, θα πρέπει να κάνει ή νέους πολέμους ξεχωριστά εναντίον όλων των εχθρών, παλιών και νέων, στην περιοχή ή έναν μεγάλο πόλεμο εναντίον όλων μαζί. Αυτό σημαίνει ότι οι Παλαιστίνιοι θα πρέπει να περιμένουν άλλα εκατό χρόνια, γιατί τότε μπορεί το Ισραήλ να αποκτήσει αυτή την πολυπόθητη αλλά και ανέφικτη «ασφάλεια», με τίμημα να ακινητοποιηθούν σχεδόν όλα τα μέσα παραγωγής.